To help you supercharge your marketing success, I’ve reached out to some of the most trusted voices in the digital marketing world speaking at the upcoming Digital Marketing Summit Minneapolis conference for their quotable advice. Marketers from companies like 3M, Thomson Reuters, IBM, The Economist Group, BMC Software, Pandora, Salesforce, Adestra, Schwinn Bicycles, SEMRush and our own agency, TopRank Marketing have joined experts including Seth Godin and Ann Handley to share their pithy tips on a variety of digital marketing topics. What topics you ask? 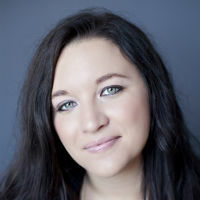 How about: Content Marketing, Influence, Social Storytelling, Artificial Intelligence, Email Marketing, Social Customer Service, Purposeful Marketing, Reputation Management, Thought Leadership, Audio Marketing, Creative Content & Promotion, SEO, Design Thinking and Marketing with Microinfluencers. Enjoy! “You’re more powerful than you imagine. In our new connection economy, it’s the misfit who has an advantage. The artist that we seek out, the maker of ruckuses. “What’s one thing marketers can do to supercharge how they approach content for marketing? Supercharge your marketing by (ironically) doing less. Why? “”Well, less is more, Lucrezia: I am judged,” wrote poet Robert Browning a century and a half ago. In modern marketing parlance (probably an idea Browning couldn’t fathom! ), Less Is More means you focus on creating less content that will have greater impact. Content that has real value for your audience. And content that will sustain your organization, and (importantly) that you can be proud of. Don’t forget, if you’re attending Digital Summit Minneapolis, you won’t want to miss the closing keynote on Tuesday at 4:05pm: Supercharge Your Content with Influencer Marketing. The deck cover is below and after the conference, I will swap it out with an embed from SlideShare. Content is both king and kingdom in the marketing world but what good is great content if no one sees it? Confronted by information overload, distrust in advertising and the growth of ad blocking, successful companies are adding an essential ingredient to their content marketing mix: influencers. By co-creating content with trusted experts that have active networks, brands increase both quality and quantity of credible content that is trusted by customers and stands out from the competition.This presentation will outline a framework, best practices, tools and examples for integrating influencers with content marketing that will help marketers attract, engage and convert more customers. BONUS! 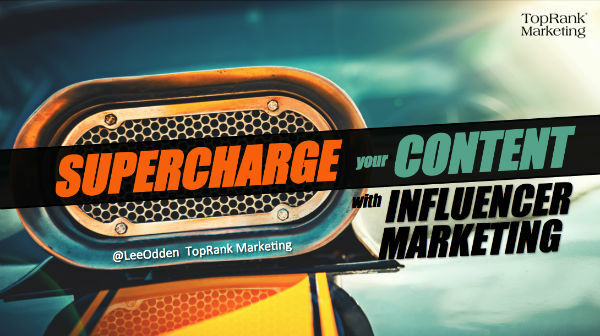 Be sure to register for the Supercharged Marketing Cocktail Hour being hosted by TopRank Marketing on Monday night, August 14th. 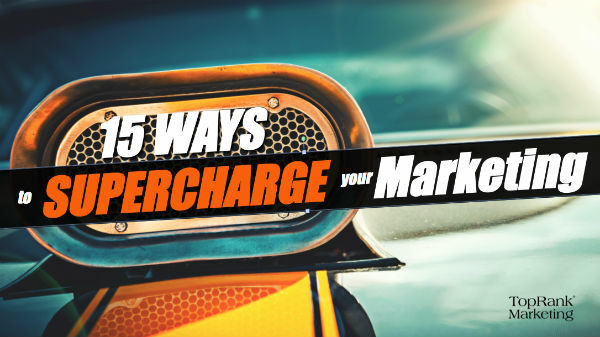 The post 15 Ways to Supercharge Your Digital Marketing #DSMPLS appeared first on Online Marketing Blog – TopRank®.